DEVON O60s’ captain Nick Rogers remains seriously ill in a Portsmouth hospital after collapsing during a match against Hampshire. Rogers, 61, had just been dismissed in the game at Warnford on Tuesday and was leaving the playing area when he collapsed with a suspected heart attack. Hampshire officials were able to give Rogers shock treatment with a defibrillator kept in the clubhouse. 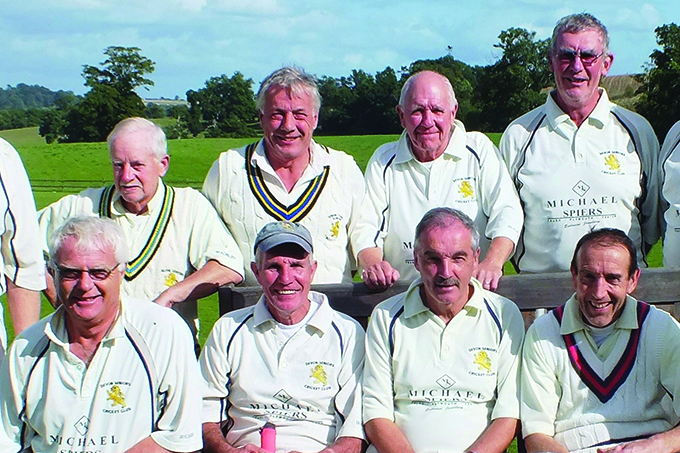 A Hampshire player suffered a heart attack in a game several years ago and the Seniors Cricket Club bought several defibrillators for use if a similar emergency happened again. An air ambulance, two paramedics and three police vehicles attended the scene. The emergency crew taking more than an hour to treat and stabilise Rogers, who was taken to Queen Alexandra Hospital in Portsmouth. Rogers is expected to be in hospital for two weeks while he is treated. A Hatherleigh spokesman said Rogers remained in an induced coma last night (Wednesday). “They are hoping to wake him today,” said the spokesman. A spokesman for Queen Alexandra Hospital said it was against policy to comment on the condition of patients.